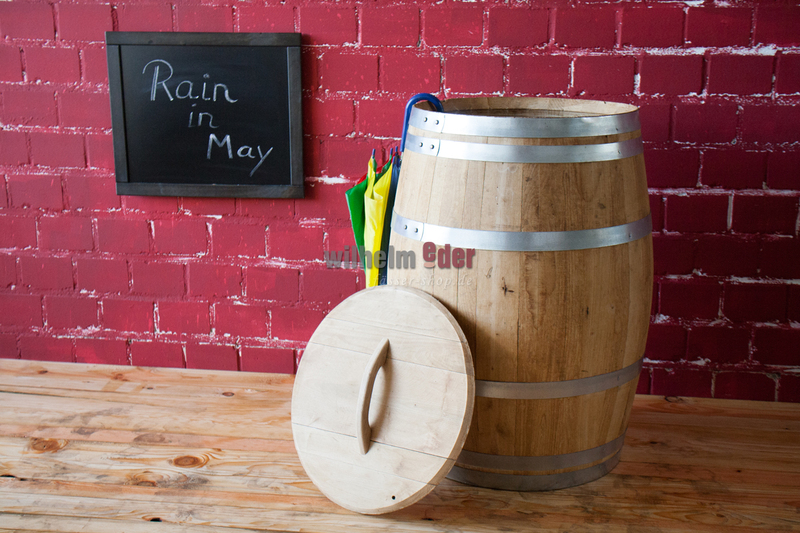 Product information "Rain barrel made from chestnut wood 225 l"
New decoration barrel made of chestnut wood with metal tires.The barrel head has been removed and a wooden grip was added. 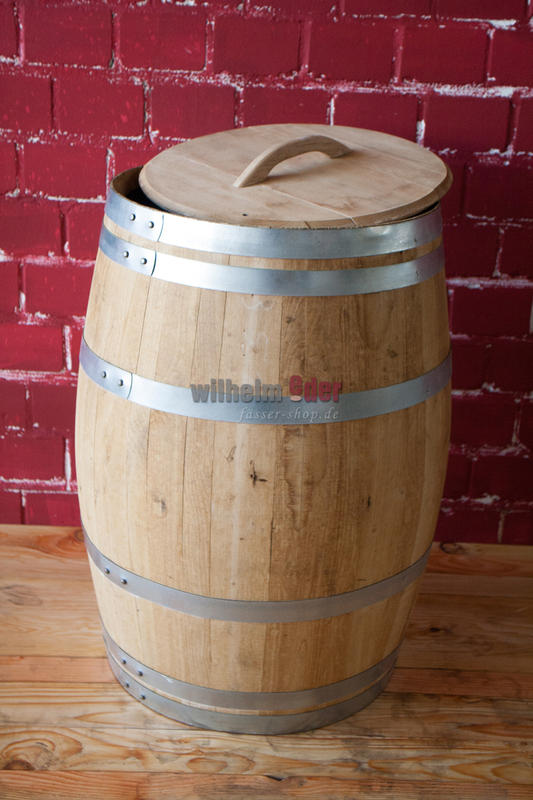 The characteristic feature of chestnut wood is that it's getting dark quickly. 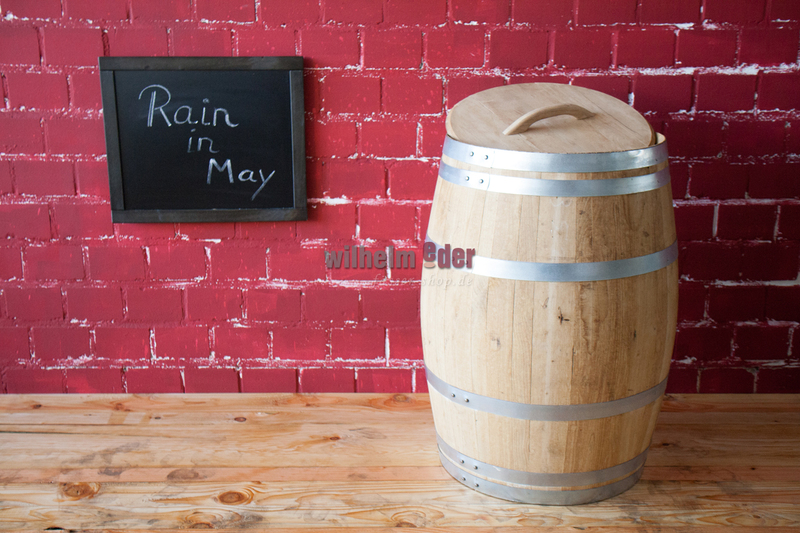 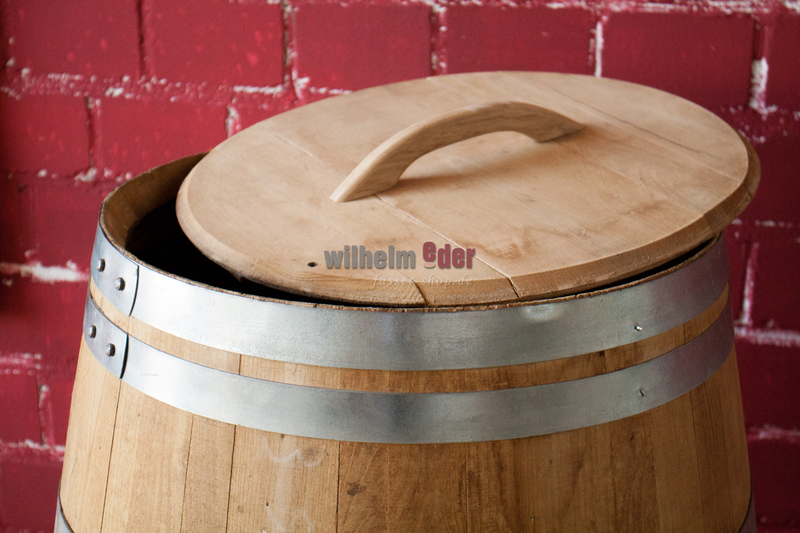 The appearance of untreated barrels can be changed when they are exposed to weathering.